A 29-year-old woman at 34 weeks’ gestation with uncontrolled hyperthyroidism and thyrotoxic heart disease was admitted to urgency Cesarean section. After preoperative sedation and good communication, low-dose spinal anesthesia (7.5 mg 0.5 % bupivacaine) combined with epidural anesthesia (6 ml 2 % lidocaine) was performed through L3–4 inter-vertebral. Opioids were given intravenously to the mother for sedation after delivery of the baby. Satisfactory anesthesia and sedation was provided during surgery. The mother and the neonate were safe and no special complication was found after surgery. 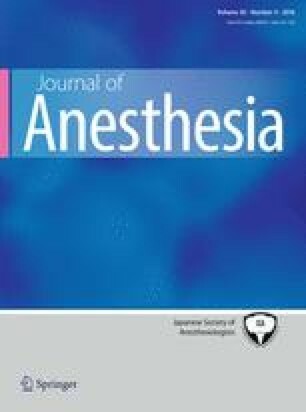 Our case demonstrated that low-dose spinal anesthesia combined with epidural anesthesia with intravenous opioids can provide satisfactory anesthesia and sedation, and reduce the risk of heart failure and thyroid storm. Z. Liao and Y. Xiong contributed equally to this work and should be considered co-first authors.